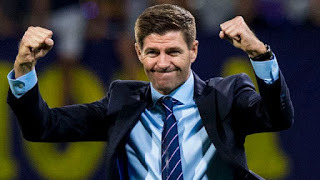 Rangers manager Steven Gerrard was back home in Liverpool last weekend for the Legends v Milan Glorie charity match, and the boss has previous stated that he has two teams in his heart now, Liverpool and Rangers. But speaking after the hosts won out 3-2, Gerrard suggested that despite his ‘day job’ as he put it, his allegiances very much remain at Anfield and he will be keeping a close watch on events down south regarding the title race this season. "It's (Liverpool's title race) in the back of my mind. I've got a day job now and all my focus is obviously on Rangers, but I've got one eye on Anfield and I just hope the lads can go and get us over the line because I'd be the happiest man in the world." Gerrard has done a hell of a job embracing everything Rangers, becoming one of us in the process and defending the club from many attacks. However, he, just like Graeme Souness before him, would run to Anfield in an instant if the job was offered to him. There remains zero doubt that while Gerrard has become a fan of Rangers since taking the job, it really is, just a job, to him by his own words. ‘I’d be the happiest man in the world’ is also an interesting comment. 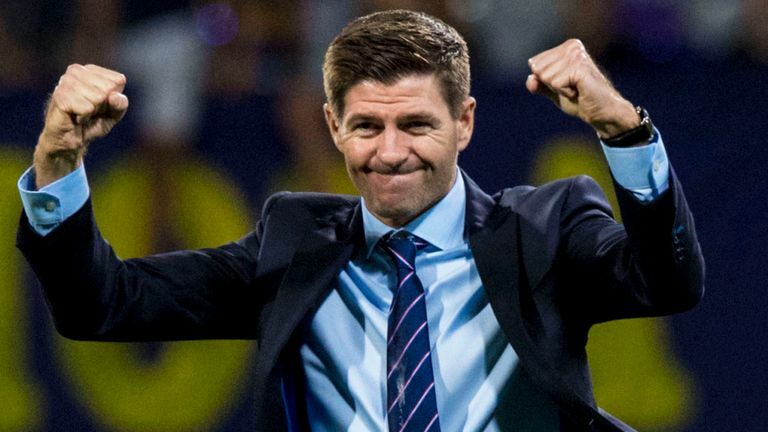 Regardless of what happens at Ibrox – even if we get destroyed at Parkhead this weekend, finish third and Alfredo Morelos gets jailed for crimes against football Gerrard will still be the happiest man alive should Liverpool win the title. Ok, a bit extreme, but the point is clear – Gerrard is a professional and does his job as well as he can, and even makes us think for a while that we’re his number one, now and then, but the reality is always there. There is zero loyalty in football these days and to be honest if I was Gerrard I would also want back to the most prestigious league in the world and as far away from the backwater that is Scottish football. EMcC. Couldn't agree more. Celtic fell for all that loyalty crap from Rodgers and look what happened there. The first half decent premier job that comes up,and SG will be across the border quicker than you can say WATP. If Gerrard instilled the same passion and attention he has for Liverpool, into our players, then we'd win every game!